The first full moon of the rainy season was a momentous occasion for the Dogon people of Mali. It marked the day, many countless moons ago when, according to legend at least, Moussa Diarra, one of their ancient forefathers, discovered Sirius B, the second star in the Sirius star system and one that wouldn’t be rediscovered by astronomers until hundreds of years later. And then only with the aid of telescopes. Every year, the Dogon used the occasion to celebrate Moussa’s discovery and to pay homage to the greatest of all their spiritual leaders. 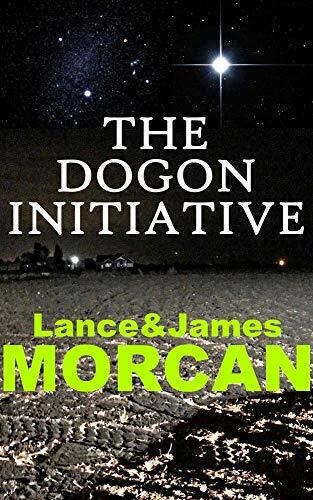 So begins the prologue in our new release action-thriller THE DOGON INITIATIVE (The Deniables, Book 1). Moussa had ruled over the Dogon when the Mali Empire was the largest in West Africa. Its western border stretched all the way to the Atlantic Ocean and it was a center of culture, language, education, mathematics, science, law, trade and great wealth. It was a time when the Dogon had considerably more influence. In the present day they are a persecuted minority facing cultural extinction as they’re continually attacked by larger ethnic and religious fundamentalist groups whose number include disenchanted Muslims. The first full moon was a significant occasion for one of the great Moussa Diarra’s youngest descendants also for it marked the day of his birth, and that was another good reason for the Dogon of the tiny village of Tireli to celebrate. Moussa’s namesake, ten-year-old Moussa Diarra, was too young to fully appreciate the significance of the occasion. Even so, he wore his legendary ancestor’s name with pride, and he basked in the adulation the villagers bestowed upon him. They believed him to be a Nommo, an ancestral spirit returned from the dead, and they dreamed that he would help them tap into their reservoir of knowledge dating back to ancient times and lead them back to their former greatness. Physically, young Moussa was an unremarkable specimen, different to the other boys. Skinny and a little shorter than average, he did, however, have one remarkable feature: one eye (his right eye) was blue and the other brown. It was a trait he’d inherited from his father and from his father’s father going all the way back, as legend would have it, to the original Moussa Diarra. Later in the prologue, Moussa’s bodyguard and mentor Ibrahim takes the boy to a secret cave high in the cliffs behind Tireli. We take up the story where the pair enter the cave. Moussa followed the muscular Ibrahim through the entrance and discovered it opened up into a cavern almost as big as his father’s lodge. The front of the cave was dappled in sunlight; the rest of it faded to blackness. “Where are we?” he asked. His voice echoed in the cave’s rocky confines. Moussa saw a shaft of sunlight had illuminated a map of the heavens on the wall. “It was painted by Dogon artisans many centuries ago,” Ibrahim said. He knew that to be a fact because modern-day scientists and astronomers had researched similar paintings in other caves along the escarpment and had decreed the paintings around Tireli at least were between three-hundred-and-fifty and four hundred years old. This particular map, one of many such ancient maps to be found in these caves, was adorned by strange symbols, which Moussa had never seen the likes of before. A group of foreign mercenaries hired as deniable assets by a newly-formed humanitarian division of the CIA is tasked with saving Mali’s persecuted Dogon people from genocide. The operation must be carried out in stealth while journeying across some of West Africa’s most hostile terrain. As if all that’s not enough, they are also instructed to help solve an ancient astronomical mystery linked to the pyramids of Egypt.